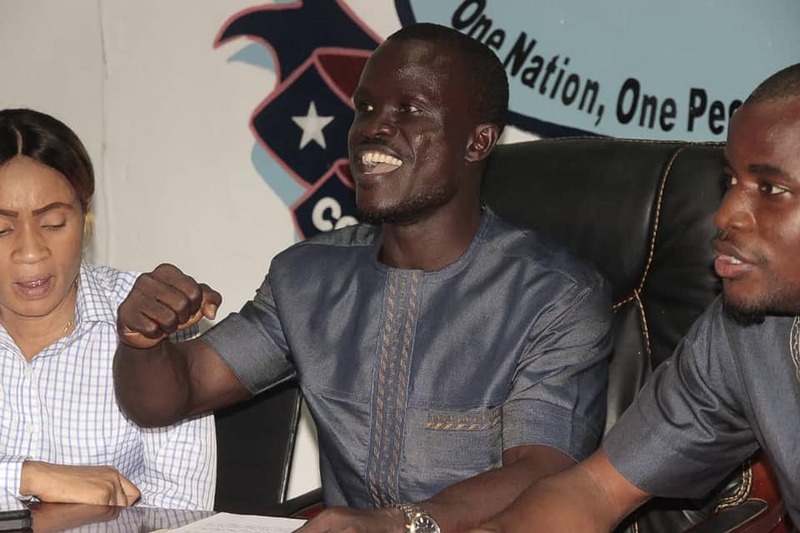 Monrovia – The Youth League of the ruling Coalition for Democratic Change (CDC) says its arms are open to members of opposition parties in order to foster national development and strengthen democracy. The youth league made the call Wednesday during a press conference shortly after welcoming some members of the opposition who had joined the party last week. Some of those who recently joined the CDC were also members and affiliates of the Unity Party. They are Urias Gould, Armah Foday and Benedict Williams among others. The CDC says welcoming new opposition members would create further stability in the country. Recently, the party Chairman Mulbah Morlu threatened to “fight” non-CDCians who are until they join the party. “Those who will join the CDC will enjoy the party; but those who will not join the CDC, the party will fight you. Even if you are my brother, once you are not a member of this party, you are in the firing line; we will fight you. We will deconstruct your ability every day until you join the CDC,” he warned. The CDC Chairman signaled the warning when Grand Kru County Senator, Dr. Peter Coleman rejoined the party after several months of exile with the former ruling Unity Party. Following the chairman’s threats, several members of other political parties and the former ruling Unity Party (UP) have trooped to the compound of the CDC to seek membership. The party’s Youth League in an apparent covering up of the threats by its chairman is extending an open invitation to non-CDCians to join the party in order to create a stable Liberia. “The CDC is the party for every Liberian; we are welcoming all non-CDCians to form part of this noble party to create a stable Liberia. We want to also take this time to appreciate those who have taken their time to join the CDC,” Emmanuel Swen, Vice Chairman for Operations of Youth League. He, however, commended President George Weah for attracting support to the country, referencing China’s contribution of US$54 Million to the country’s development. He then urged the Liberian leader not to give ears to politicians who have nothing to bring on the table to improve the lives of Liberians.